If the end user require third party inspection , it is available.Lots of third party inspection organization have inspected our copper nickel pipes , Such BV,SGS,ABS etc. Our copper nickel pipes are totally meet the different standard for copper nickel pipe specifications. Each order , our mill test certificate as per EN 10204 3.1 will be issued with the copper nickel pipes. Confirm our copper nickel pipes' dimension pressure rating chemical composition and others are totally meet with your requirements. Shanghai Shihang is a leading copper nickel pipes and fittings manufacturer and supplier for its valued clients. Copper nickel pipes also named as cupro nickel pipes. Copper nickel pipes contain blend of copper and nickel with the balanced chemical composition to resist oxidation and corrosion efficiently. Shihang copper nickel pipes are widely used on the marine field. The main reason is that copper nickel pipe has strong ability of anti-corrosion. Copper nickel pipes , copper nickel flanges and copper nickel pipe fittings forms a strong copper nickel pipe system. These cupro nickel pipes are smart products to function in caustic environments,such as ship & offshore platform. Shihang has wide range stock of cupro nickel pipes for din 86019 , eemua 144 , asme b36.19 standard. I know you’re here looking for the best copper nickel pipes and a manufacturer you can trust. Oh, yes – you’re just in the right place. Because in this guide, I am going to walk you through very important information about copper nickel pipes. 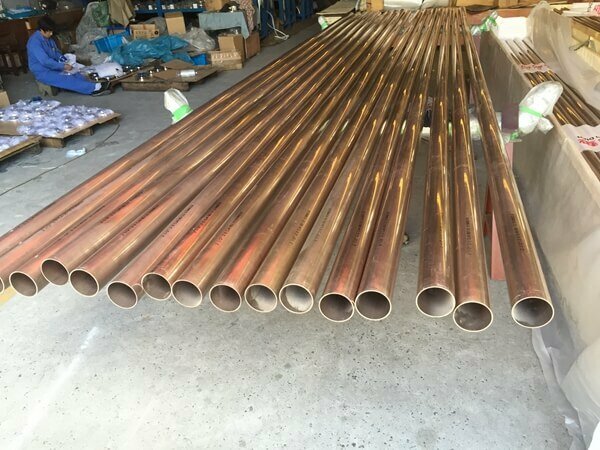 From basic chemical composition, applications, classification, fittings, specification to fabrication of copper nickel pipes; you’ll probably learn a lot. So, if you’re serious about finding the best copper nickel pipes, then read shihang copper nickel pipe manufacturers guide to the end. Copper nickel pipe specifications are yet another important aspect I want you to know. So, for this section, I am going to discuss 5 important things to consider when buying copper nickel pipes. With this information, you can easily buy a cupro nickel pipe that meets the specific needs of your applications. From OD 16 to OD 419 , the copper nickel pipe type is seamless. From OD 457 or more , the copper nickel pipe type is welded. Ends are Plain | Beveled. Normally , the copper nickel pipe end is plain , if you require beveled , it’s available. Grades of Copper Nickel are Cupro Nickel C71500 (70/30) | Cupro Nickel: C70600 (90/10). For now, cuni 90/10 is more common than cuni 70/30. Because cuni 90/10 is more cheaper and easy to machine. Normally, these standards form the benchmark for manufacturing copper nickel pipes for all applications. It doesn’t matter whether you want a copper nickel pipe for marine or non-marine applications. I know there are many copper nickel standard specifications out there. However, for the scope of this section, I will focus on three main dimensional standards. 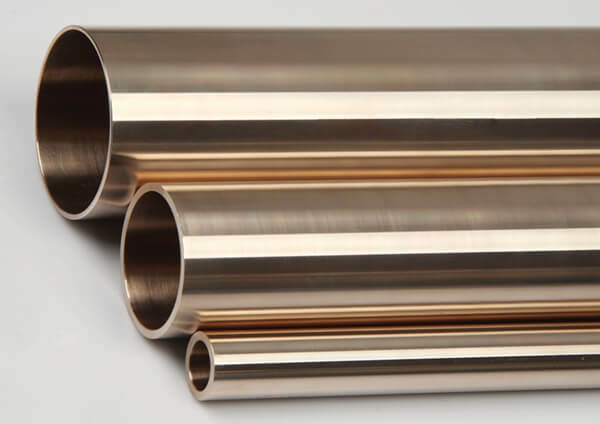 Whenever you’re evaluating copper, nickel pipes based on these standard specifications, your main focus should be on outside diameter, wall thickness, weight, pressure rating and of course the type of material. You must state the dimensional standard for copper nickel pipe. As you can see from section (1.1) above, you already have an idea of the size of copper nickel pipe. So here, I will make it straightforward for you to understand. The copper nickel pipe size will vary depending on the dimensional specification, as I have highlighted above. 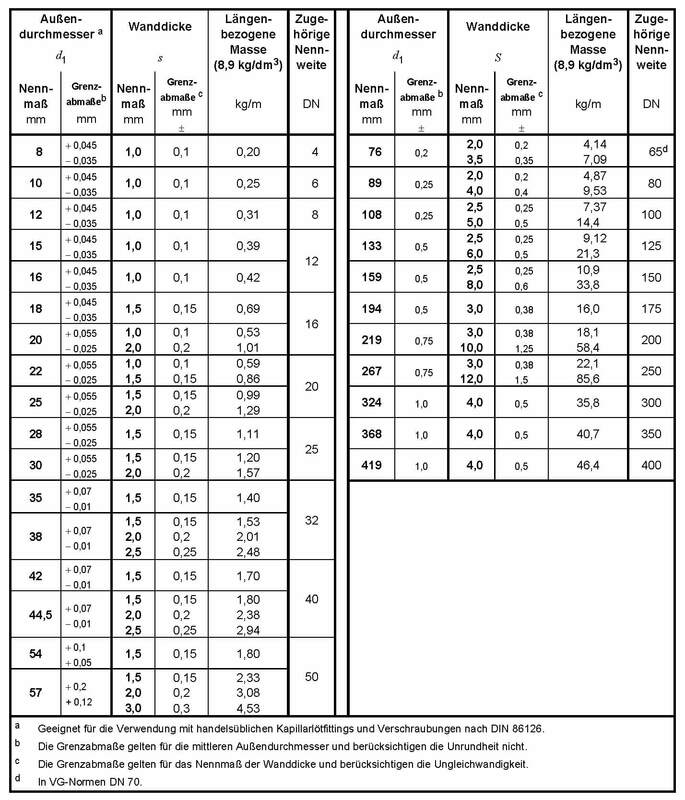 You can check the copper nickel pipe wall thickness chart , copper nickel pipe weight as below. Different copper nickel pipe pressure rate , different copper nickel pipe thickness. The higher copper nickel pipe pressure rating , the thicker copper nickel pipe wall thickness is. In ASME b36.19m standard , normally , sch 10s and sch 40s are common in copper nickel pipe field. If you want to check all copper nickel pipe schedule 5s , schedules 10s , schedule 40s and schedule 80s. Please kindly visit our ASME B36.19M page. As a general rule, all these will depend on where you intend to install the copper nickel pipe systems. This is an important classification criteria when buying copper nickel pipe. It’s for this reason that I have a comprehensive video for you about this subject. Good, having said that, let’s move on to yet another important aspect. Again, I will refer you to the table and standard specifications I highlighted in section (4.1) of this chapter. Whenever you’re buying a copper nickel pipe, please specify the dimensional standard. In a nutshell, you must specify the type of copper nickel pipe you want to buy based on the key parameters I have mentioned above. I will show you the copper nickel 90/10 & cupro nickel 70/30 chemical composition and physical properties at below section. For different standard, the chemical composition requirement is a little different. Cu% Ni% Fe% Mn% C% Pb% S% P% Zn% Other imp. you must know the out diameter and the thickness in mm. The truth is that copper-nickel alloy pipes come in a wide range of product fittings and forms. One of the significant property of this alloy is its ductility. This feature makes it rather easy to fabricate this alloy. You’ll also notice that copper-nickel tubing can be expanded much easier into tube sheets. Definitely, this also makes it necessary to allow for easy manufacturing of shell and tube heat exchangers. 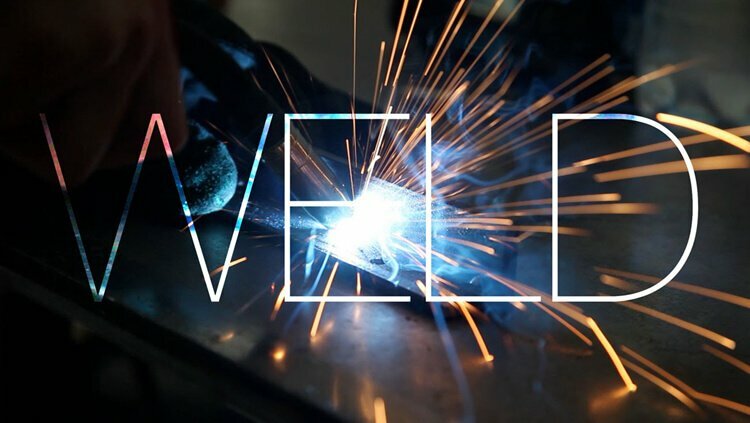 In this section, we want to find out various aspects revolving around manufacturing, fabricating, cutting, threading and welding of copper-nickel alloy pipes. Many people hardly have an idea of how copper nickel pipe is manufactured. Clearly, it is understandable because most people often have an interest in the end product. But don’t you think having a general idea of the manufacturing process of this product would be necessary? Let me take you through how it happens. So that next time you’re making your order, at the very least, you’d understand a few elements regarding the process it undergoes during manufacturing. The funny bit of this product is that it works so well but trust me the making process isn’t necessarily hi-tech. But the good thing, all the same, is that the ultimate product meets the strict quality specifications. The process logically starts with raw materials which in this case is copper. This raw material may be ingots, refined or just scrap copper. The choice in this case, however, is dependent on some elements such as availability, cost as well technical capabilities of the plant to furnace the material. Don’t worry about this I will explain it in just a bit. But you also need to bear it in mind that at times the quality of end product is often defined by the type of raw material that you used. 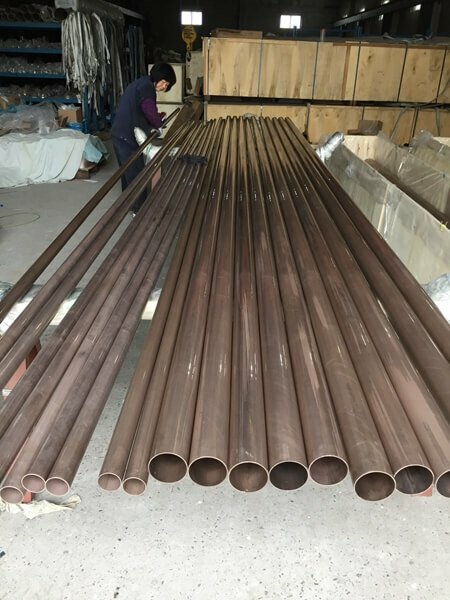 In this case, therefore, refined copper will certainly produce a relatively higher quality copper nickel pipes than the copper scrap raw materials. Now at this point, the raw materials are placed in the melting furnace. It is primarily a sizeable tube mill with a capacity that ranges up to 20 tons. The essence of this chamber is to melt the raw materials, specifically the ingots and scrap. It is not by any standards ideal for melting refined copper. It’s incredible because imagine the melting temperatures go up to 2400 degrees Fahrenheit. Ordinarily, that’s extremely hot. While still hot, it is refined by contacting it with oxygen with the intention of reacting with impurities in a bid of forming oxides. But since the oxides are comparatively lighter than liquid metal, they tend to float on the surface and trapped inside slag. At this point, all impurities need to be eliminated. Some can however on be removed by using specific compound slag to react them with. Evaluation and transfer of samples take place as means of monitoring the impurity content. The purity level must conform to the ASTM specification which then allows it to proceed to casting. Casting starts in a tundish. 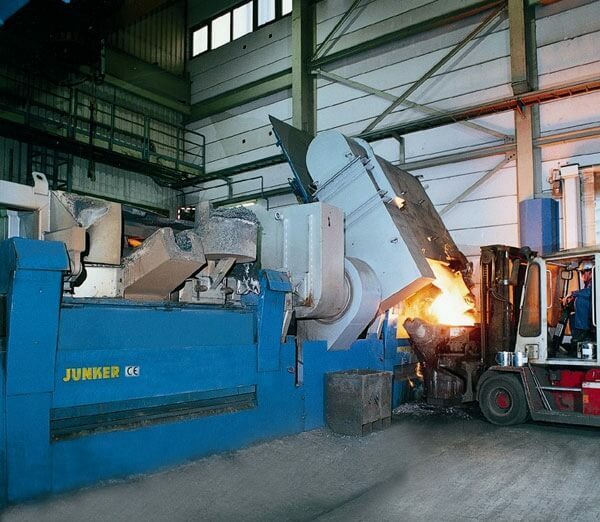 During this time, the molten metal is heated moderately to maintain its temperature. The molten metal is as well covered using a blanket that contains graphite powder as a way of preventing oxidation. Afterward, the molten metal is cast into comparatively large logs by using either of these methods, continuous or semi-continuous. In some instances, however, the casting mold has a central core for cool water. Therefore, it allows the log to emerge as a thick-walled pipe known as tube round. 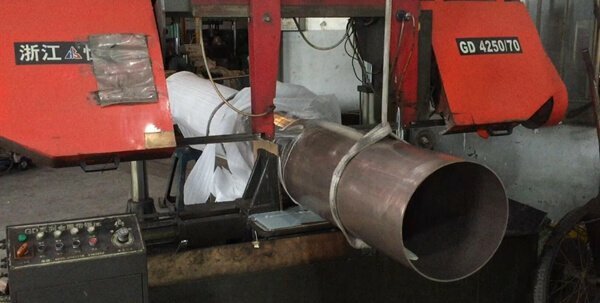 This is the next step in the manufacturing process of copper-nickel alloy pipe. Piercing comes after casting, and it necessarily involves reheating the billets to 1535°F or thereabouts. The essence of this reheating is to make this metal pliable. A sharp pointed rod of similar length and desirable size is also known as the piercing mandrel is then forced through the center of the billets. This leads to the creation of internal walls of the Cu Ni alloy pipe. 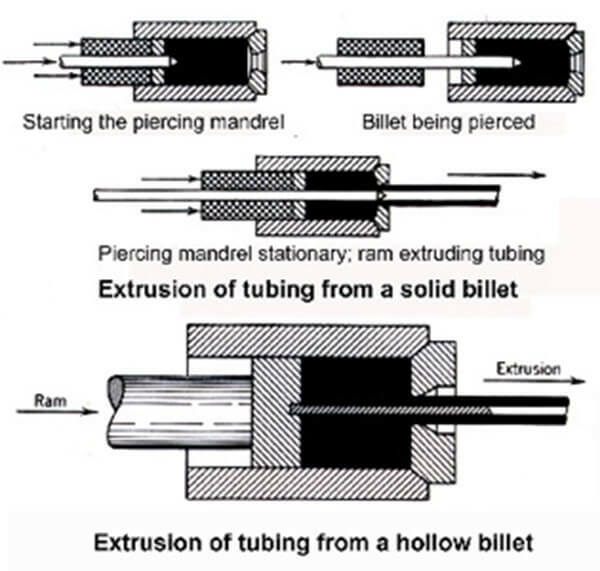 Still, you also need to take note that this process is unnecessary especially if, during casting, the billets were molded as tube rounds. Moreover, it’s also imperative to know that piercing can happen before extrusion or can take place simultaneously with extrusion. You see when you’re holding your toothpaste tube and trying to squeeze it to remove the paste, that’s how extrusion of this metal occurs. Yes, it is more or less a similar process. So during extrusion, you’ll find that the billet heats accordingly to meet the standards of hot-working temperatures. After that, it is placed in a chamber which contains an extrusion press. The molten metal is forced over the mandrel and then through the hole which is inside the die. The result is the formation of a hollow tube spurting out of the extrusion press in a similar way that the toothpaste squirts out of the tube. What follows is that the metal which is closer to the billet’s surface extrudes backward and forms a shell. Copper oxide is present in this shell hence need for removing and refining it in the refining furnace. Rollers then carry the extruded tube that emerges from die on a flat long table to make it straight to the level is cool enough to handle. 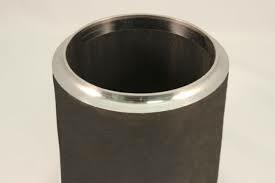 The tube is then eventually cleaned to allow for removal of surface oxide scale as means of preparing it to a subsequent stage in pipe making process. This stage primarily involves pulling the hollow tube through a sequence of toughened steel dies to decrease the diameter accordingly. Prior to every step of this process, the pipe is pointed at one end to make it possible for it to fit through when placed in the next die. 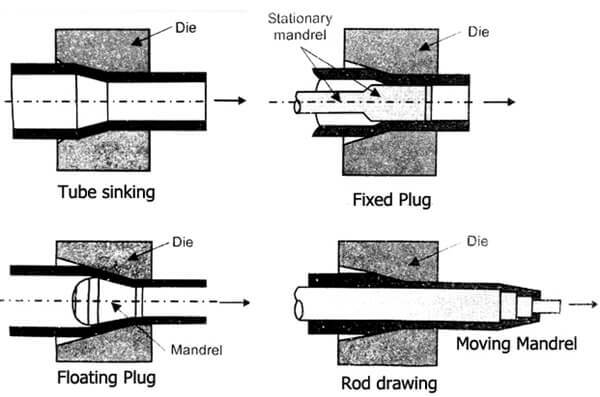 The die and mandrel perform together as a way of reducing both the diameter and wall thickness of the pipe. The pipe is drawn in numerous stages until the moment that the ideal wall thickness and diameter is achieved. The drawing work generally toughens the copper allowing the pipe to be reasonably stiff. We have several ways for cutting the copper-nickel pipes. In fact, several typical cutting procedures are acceptable when dealing with copper nickel pipes. For instance, shearing, plasma arc, and abrasive disc cutting are all acceptable for Cu Ni pipes. Nevertheless, abrasive water jets are cutting, and laser might as well be considered. You can use shears and band saws. However, you must ensure that you leave some allowance. It is because alloys tend to be somewhat soft and ductile. Another tip is that never use oxy-acetylene cutting for copper-nickel alloy pipes. In general, cutting copper nickel pipes is easy but only when you’re using the right cutting methods. One of the most fundamental aspects regarding threading is selecting the ideal drill size. And again, it is imperative to understand that this is one action that involves a lot of friction. So possibly, the threading machine has to have a pump oil at work. Alternatively, you have to ensure that you flood the tool nose with sulfurized oil during this process. The depth of the threading cut has to vary depending on the thickness of the copper-nickel pipe. Nonetheless, the treading dies have to be sharp and flooded with a soluble oil, cutting fluid or any rich chemical solution when using it. To produce V-threads, the ideal chamfer angle should be in a range of 15 to 20°. You also need to have it in mind that external thread can be produced on copper-nickel alloy pipe by form grinding. Shihang , the professional copper nickel pipe manufacturer. Normally , we do some copper nickel pipe stock when we think the raw material ( copper and nickel ) price is lower according to our 20 year experience. And we have rich experience on copper nickel pipe productions, this means only a little wastage when production and almost no scrap. This also ensure our copper nickel pipe price is competitive. Shihang is located in shanghai, the transportation is very convenient for international trading. If you want to get our copper nickel pipe price list, please feel free to contact us by e-mail: sales@shshihang.com. 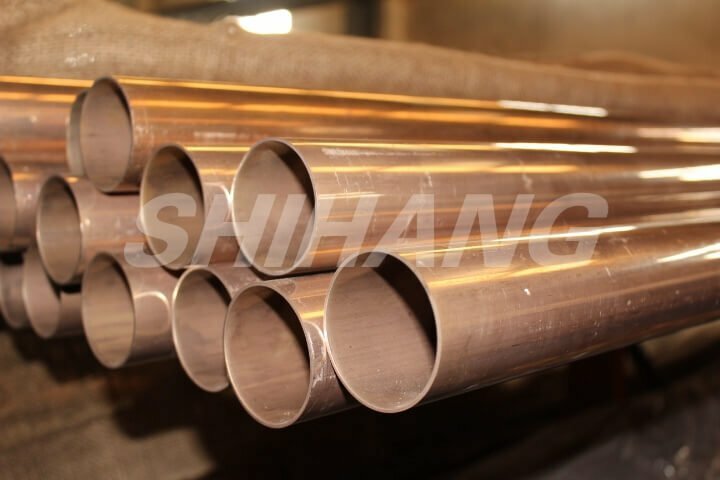 Shihang copper nickel pipes carries strength to resist cracking pressures of decomposition and eroding therefore it’s wonderful in stress corrosion. 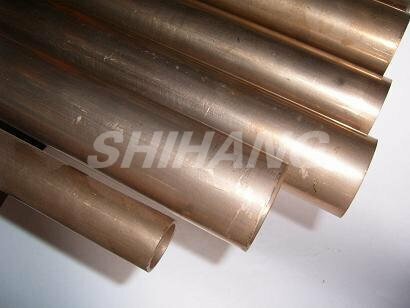 Shihang copper nickel pipes allow relieving in construction and resistant to fine pitting. Shihang copper nickel pipes protect the object from biofouling. Shihang copper nickel pipes inherent strength and chemical composition facilitate easy welding. High resistant to corrosion and erosion. Efficient antifouling properties to prevent sea microorganisms. Copper nickel pipes contain better attack resistance against impingement. Copper nickel pipes provide the longer lifetime of assets in water and allow secure operations under adverse environmental conditions. Copper nickels alloy are excellent in using marine hardware, crankshafts, fishing boats, propellers and structures of tugboats and other working boats. Shihang copper nickel pipes are widely used in condensers and piping mechanisms in seawaters. Shihang copper nickel pipes act as wonderful heat exchangers in the sea. Cuni Pipes are also used in industries of petrochemical, electrical and chemical industries. Cuni pipe’s design and exterior features allow them to use efficiently for building boat industry, shipment building, marine engineering and desalination industry. Seamless pipe inspection entails performing a chemical component test, mechanical properties test, visual inspection, and hydrostatic test. 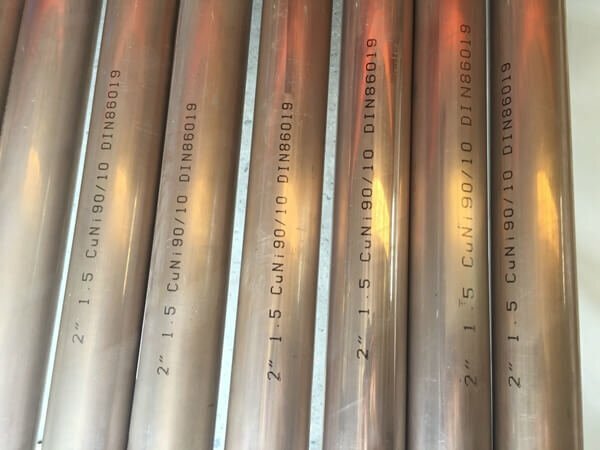 To determine if seamless copper nickel pipes are ideal for the intended application, they are subjected to a chemical component test. Chemical component test is aimed at confirming that the copper nickel pipes meet the specified chemical requirements depending on the material standard. This test is conducted at both macro and micro levels. Macro test inspection entails analyzing the raw material and the final products to ensure that the alloy elements are within the specified range. Macro test analysis entails checking copper nickel pipes to ensure proper fusion with the intended use or application. Mechanical properties tests entail inspecting the copper nickel pipe. It ensure that it conforms to the required mechanical standards as per the specified standards of the material. A sample is taken from the pipe and used to perform the test. This test entails examining the integrity, temperature effect, impact resistance, and tensile strength of the material of the pipe. Essentially, this inspection is aimed at ensuring that the final product meets the required mechanical standards. Visual inspection of copper nickel pipe is used to check the overall quality of the product. During this inspection, the inspection engineers check the overall finish of the product. They check the surface of the pipe for imperfections that may include tears, mechanical marks and other forms of visible imperfections. They also check defects like undercuts, porosity, under or excess fill of the material, and unevenness. The accepted visual imperfections are specified in the ASTM copper nickel pipe standards. Basically, we have looked at the fundamentals revolving around a copper-nickel. Now, it would only be fair enough to understand the ideal aspects of best manufacturer of copper nickel pipe. Just to let you know, all the information herein in one way or the other have a significant role in enabling you to determine suitable copper nickel manufacturer. At the end of it all, you’ll realize that the decision you are making when choosing the best manufacturer for this product depends on the information listed in this guide. In essence, there are many copper nickel pipe manufacturers in China. Therefore, for you to get the exceptional one, you need to look deeper into other several factors other than just what you see on the surface. In this case, I want to introduce you to Shanghai Shihang Copper Nickel Pipe Fitting Co., Ltd. 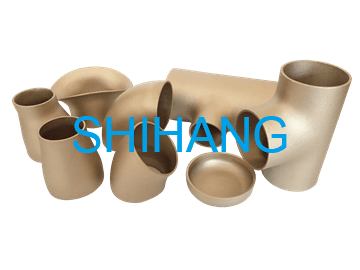 Honestly, Shihang is the ultimate copper nickel pipe manufacturer you can count on. You see, if there’s one strong factor that gives Shihang Copper-Nickel Pipe an edge over other firms is reliability. It’s somewhat systematic that when ordering any type of copper-nickel pipe, you ought to get it readily available. With Shihang, you’ll get your copper nickel pipes within the shortest time possible. Definitely, this reduces any possible inconveniences from arising given that at times your project needs always to run throughout. 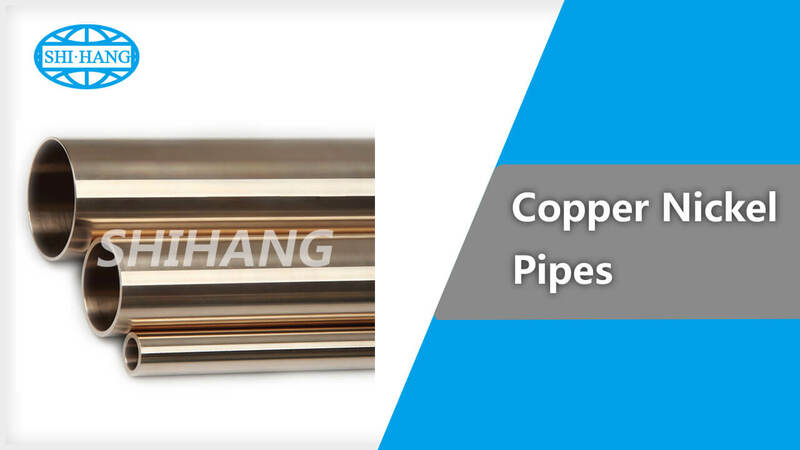 So, what I’m trying to say here is that Shihang copper nickel pipe tops the list of the best manufacturers for this products because of its unmatched reliability. You order and get the particular copper nickel pipes you need any time of the day. Most companies that manufacture advanced copper nickel pipes in China have been in existence for less than a decade. Even if they have been present for more than a decade then the chances are high that they started producing these types and many other similar pipes not so long ago. This is however contrary to Shihang copper nickel which has over 20 years of production experience. This company has produced quite a considerable number of copper nickel pipes, fittings, flanges and other related items. It thus puts it in a vantage position which is ideal and necessary when it comes to choosing the most suitable manufacturer for this item. All this time, Shihang has been manufacturing high-quality products that match the industry standard specification and also meets the needs of the customers. If there’s one thing that may render a company dysfunctional is a failure to inspect and approve the quality standards of the product. You see, like copper, it is quite essential always to ensure that the product meets all the necessary qualities and standards. You and I know the various applications for using these products. We can openly tell that should any inferior quality pipe be used then the outcome may be disastrous, costly and time-consuming. So a suitable company will always ensure that all items are taken through a thorough, systematic inspection procedure before approval and dispersal to end user. Fair enough, this is what Shihang copper nickel pipe does to all of its products. It has a team of professional inspectors that evaluate the quality standards of any item before rendering it appropriate for usage. And to prove this, for the last ten years or so, the company has had 0% client complains. Imagine not a single complain from both local and international end users! Clearly, it shows that the undertaking is never for granted and customer’s satisfaction comes first. As a result, Shihang can now produce seamless copper nickel pipes with a 419 mm outer diameter. Besides, it has increased production capacity from 70T to 100T per month. Isn’t this a copper nickel pipe manufacturing company you can count on? It is the other element that makes Shihang copper nickel pipe a suitable manufacturer for all your needs revolving around the same. This manufacturer is approved by the Bureau Veritas (BV). It is an indication that indeed this manufacturer meets the international standards of manufacturing copper nickel pipes and other similar items. The essence of this is that it gives you peace of mind. Such that you do not have to worry or have doubts about purchasing these items from the company. So in case of any unlikely event, it becomes easy for you to file a complaint and return the product respectively. Furthermore, it gives you the contentment that indeed you’re dealing with a reliable copper nickel manufacturer. 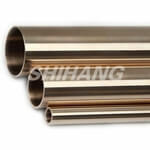 Shihang copper-nickel and pipes is a relatively large manufacturer. It gets orders from different parts of China and other international companies too. It has been in existence for over two decades. Therefore, it has established some of the best machinery and workforce that enable it to produce a large volume of different piping materials. For any reason, the production level is high hence making it easy for them to meet all the orders and still have a surplus. So that whenever you order for any particular type of copper-nickel pipe or related product, you’ll definitely get it. This wide-ranging stock makes Shihang copper nickel one of the best manufacturers to choose when in need of this items. So all these give you a reason not to search more when seeking right manufacturer of copper nickel pipe. Irrespective of whether you’re the local or international end user. Basically, you can trust Shihang for all your copper nickel pipes and accessories. Well, you’ve realized what it takes to buy copper nickel pipes and appropriate ways of determining an ideal manufacturer of the same. So you send your order, it’s approved, and now it’s time for shipping them to your destination. Shihang, of course, is a Chinese-based company. And you’re probably wondering the best way possible for your goods to get home. Moreover, it’s your first time to make such an order and start pondering of the means of getting them at your place. Listen, this is an easy task. In fact, how to ship them from China to your respective place should be least of your worries. Because you always have best shipping partner just a click away from your internet browser. And this partner is BanSar China Shipping and Logistics Company. In this section, I will show you how BanSar ensures you get all copper nickel pipes and accessories in any part of the world. Once you’ve made your order, it is upon the respective department within Shihang to ensure that it receives and works on it. Fundamentally, the officials have to make sure that they pick all the ordered pipes and assemble them accordingly. All these orders are picked from the stock, which contains all types of copper-nickel pipes that you would wish to get. 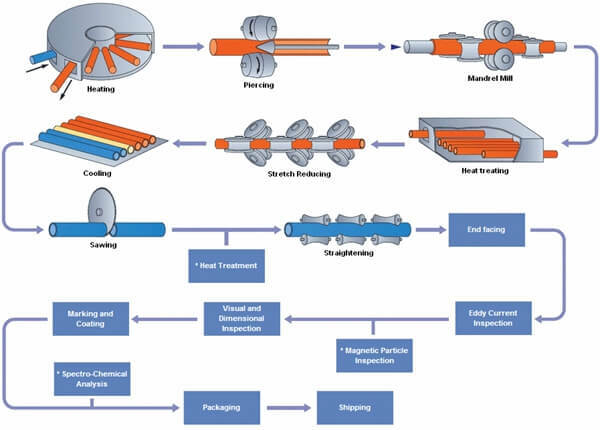 Once this process is over, the ordered pipes get to the next stage. At this stage, what happens is that the pipes are taken to labeling machines for printing. Printing, in this case, involves elements such as size, length, thickness, and weight of the pipe. Printing also contains information about the type of copper-nickel alloy used as well as other standard specification details. Maybe you’d be asking the essence of printing the pipes when you order them. Printing helps in sorting the tubes according to different features. So that it becomes relatively easy for you to select and use them appropriately depending on the type, size, thickness, and length of the pipe. It is also vital because it reduces time wasting and confusion upon receiving the consignment and trying to find out which one goes where. Once labeling is done, the next process is packaging. Now, this is one of the most critical aspects that is given substantial consideration. It is of course of great significance because understandably, BanSar will be shipping the pipes by sea. So most probably, depending on distance, it might take quite long to get to your destination. And that is the reason packaging needs to be intensive to guarantee the safety of the shipment before, during and after offloading. The wooden case provides the best material for packing and transporting these copper-nickel items. You can be sure of getting these pipes safe and sound as soon as they arrive at your destination. Once assorting and packing of the pipes inside the wooden cases is over, the case is then enclosed. This serves two principal purposes; one is that it enhances the security of these pipes such that it becomes difficult to remove even a single piece before you get them. It is vital since it helps in preventing any cases of loss of a pipe or interference with the consignment during transit. 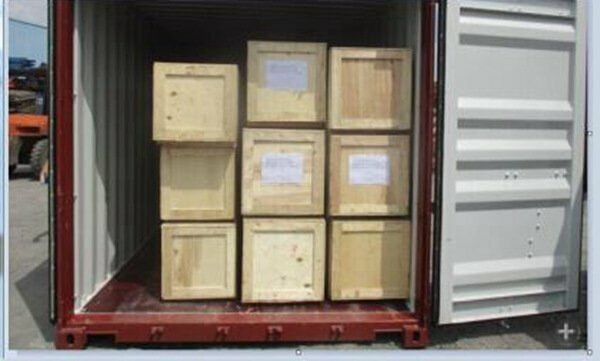 Secondly, the case sealing makes it easy for transportation of the consignment at all levels. To mean that it is easy to load it on a truck, train, or even ship when the casing is entirely sealed than otherwise. Nonetheless, complete sealing of the wooden case also serves in ensuring that the pipes are not exposed to other external elements. It is necessary since some of these elements would probably affect or impair them before getting the items. So the moment packaging is over, the next step is finding a way of transporting the goods to the seaport. You see, Shihang is located relatively far away from the port. 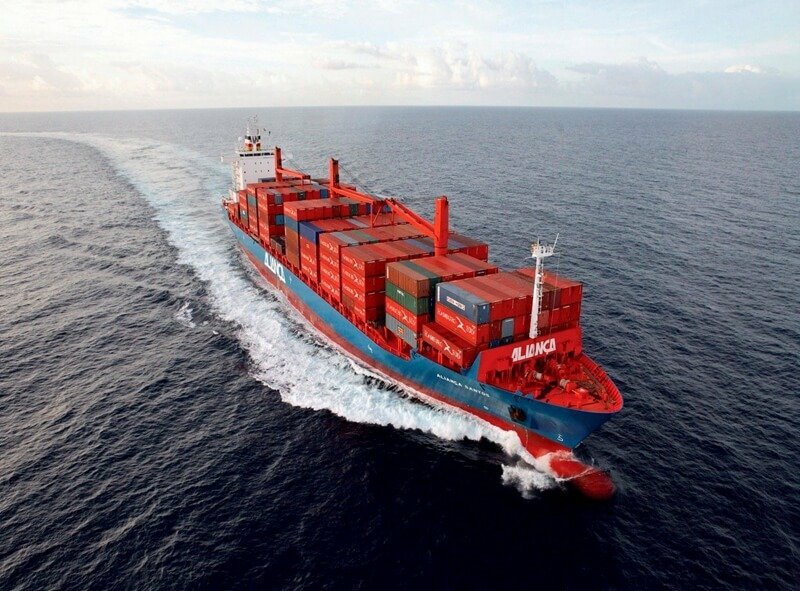 And thus there is a need for transporting the packaged items to the port for sea shipping. So the best means, in this case, is loading the cargo on a truck and transporting them by road to the port. At this point, BanSar has carried out all the preliminary assessments regarding shipping and has obtained all the necessary documents to ease the movement of these pipes. It is important because it also reduces time wasting at the customs and other related offices that would hinder or delay shipping process of this item. 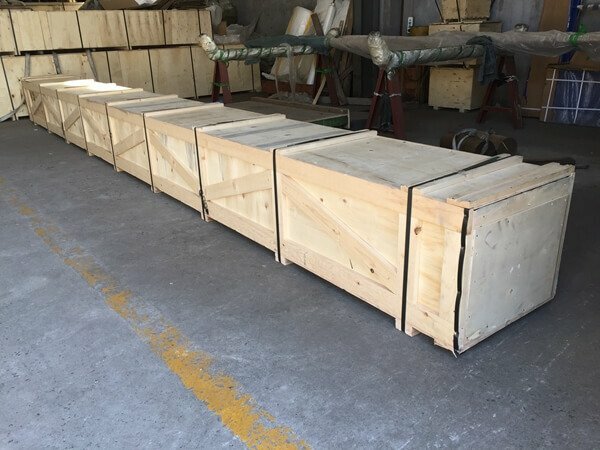 This is where the wooden cases that contain the copper-nickel pipes are now loaded into the containers awaiting custom clearance and subsequent ocean freight to the respective destinations. Most of the pipes are often 6 meters long, and the wooden case has a length of 6.08 meters; slightly longer than the pipes. Thus they fit well in such cases. But then, with the length of 6.08m, it means that the wooden cases can only load into a 40GP container and not necessarily 20GP container. So it important to take note of that fact in as much as all these are handled by BanSar China. Once every aspect regarding port clearance at the customs and any other is done, BanSar finds the right shipping carriers to transport the consignment to your destination. All these time, BanSar allows you to track your cargo to know its status if there’s need to. And the process continues until the moment you receive your copper nickel pipes. If you could be interested, BanSar might as well help in clearing this cargo at your home port and facilitate transport especially if you’re living in a landlocked country. 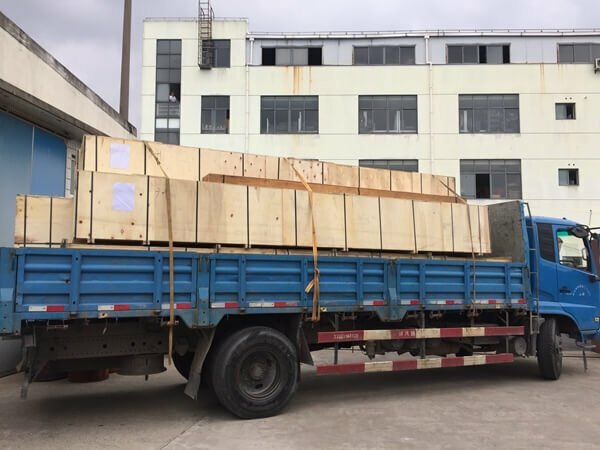 Basically, BanSar is a trusted shipping partner that facilitates shipping of your copper nickel pipes by sea from Shihang copper nickel pipe manufacturer. 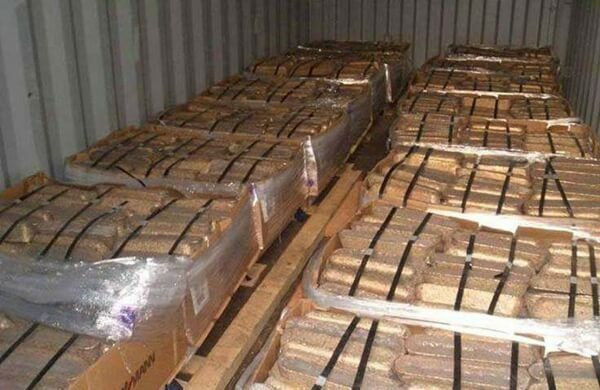 So next time you think of shipping your pipe from China, just think BanSar. As you’ve seen, finding the best copper nickel pipe manufacturer in China involves much more than just buying the pipes. You need to look into several aspects to make it easy for you to get the best quality and desirable efficiency. I’m hopeful that through this guide, you’ve learned quite a lot of things concerning copper-nickel alloy pipes. So that the next time you think of purchasing one, you will undoubtedly make the right choice and get the best manufacturer who offers all-rounded service. 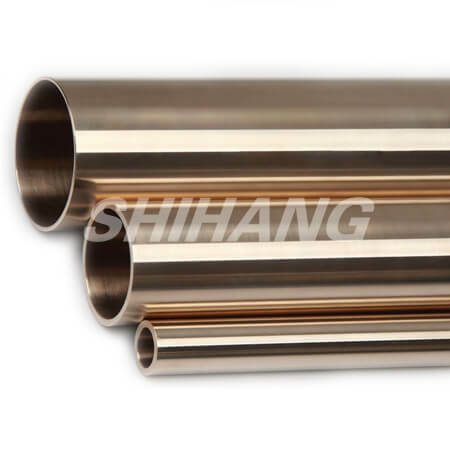 Contact Shihang today to get high quality copper nickel pipes, flanges and fittings. Shihang, one of the world class copper nickel pipe suppliers and manufacturer in china. We have a wide range stock of copper nickel pipe as per DIN 86019 Standard. DIN 86019 standard was approved by the Standards Department Marine and Marine Engineering (NSMT) in the DIN.This standard specifies copper-nickel tubes for use in civil and military shipbuilding and for shipbuilding maritime installations. The larger wall thicknesses are primarily for underwater vehicle piping certainly. DIN 86019 standard contains copper nickel pipes dimensions and tolerances for seamless copper-nickel alloy pipes. CuNi10Fe1.6Mn according to the material data sheet WL 2.1972 for use in pipelines water craft and marine equipment. The application mainly takes place in seawater pipelines. 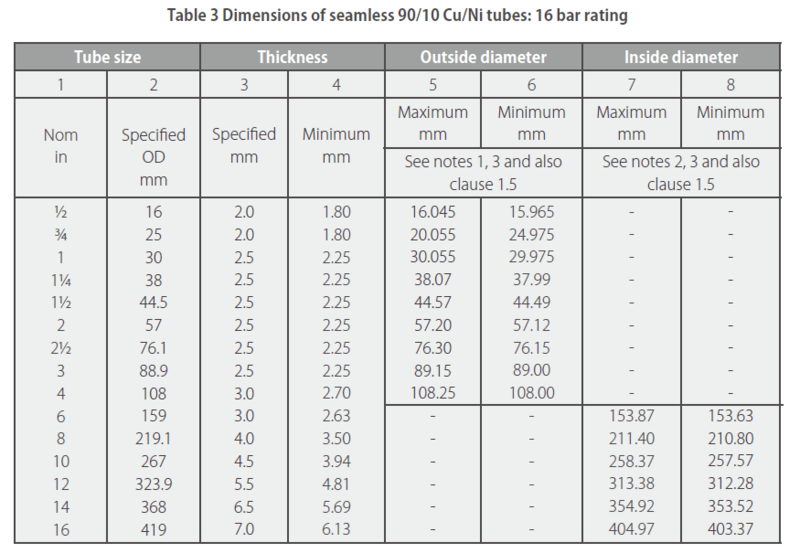 For tubes with diameters d1 over 10 mm, the straightness and tolerances according to Table 1 apply. 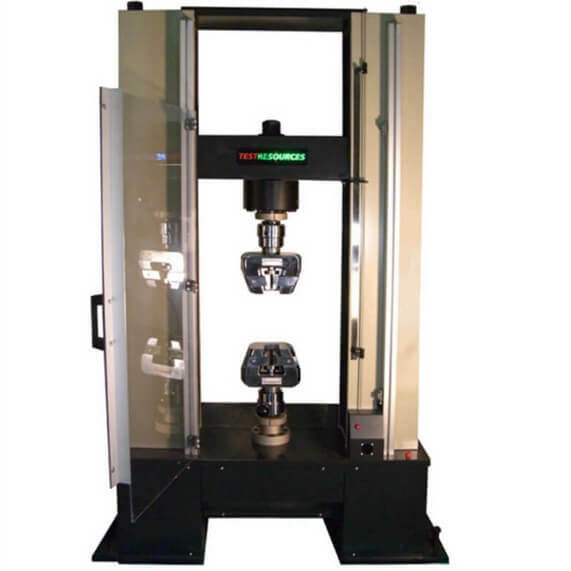 h1 is the straightness tolerance per meter, linearly increasing with measurement lengths l1 over 400 mm. 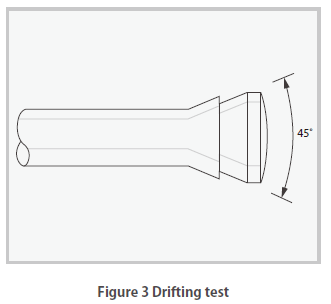 On every Length section l2 = 400 mm, however, the straightness tolerance must not exceed h2, see Fig. 2. 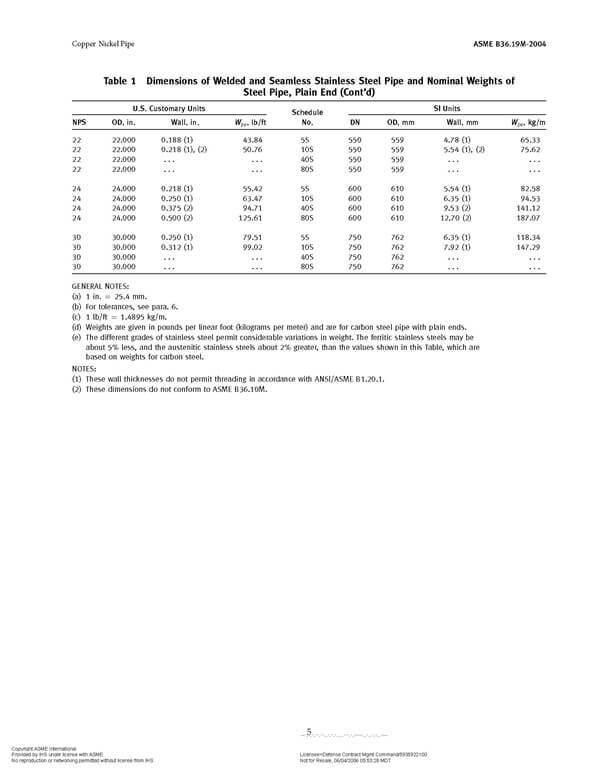 The nominal weights of steel copper nickel pipe are calculated values and are tabulated in Table 1. Please feel free to contact us by E-mail: sales@shshihang.com or submit the following chart. We have a wide range stock of copper nickel pipe as per EEMUA 144 Standard. We have a wide range stock of copper nickel pipe as per EEMUA 144 Standard or EEMUA 234 Standard. 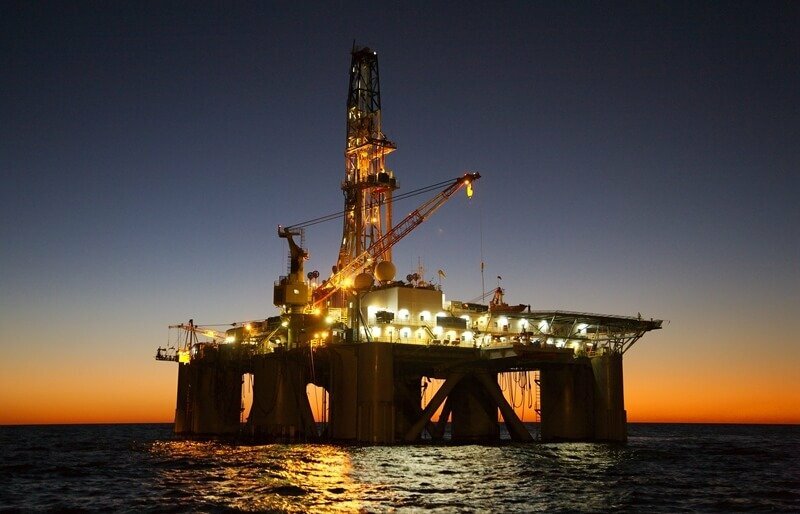 EEMUA 144 or EEMUA 234 Standards specifies the requirements for seamless 90/10 Cu/Ni Alloy -UNS 7060X copper nickel pipes for offshore and related industries. The two corresponding ranges of wall thicknesses comply with the copper nickel pipe pressure rating containment requirements of ASME B.31.3-2014 as well as the requirements of IACS (International Association of Classification Societies) with additional allowances for robustness to withstand mechanical damage, especially in the smaller sizes. 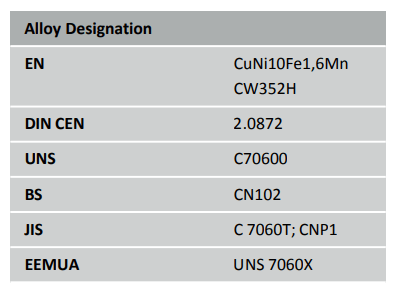 Alloy UNS 7060X is a modified form of the following national designated alloys -UNS 70600, BS CW 352N and DIN 2.0872 see Table 5 of this copper nickel pipe specification for chemical composition and mechanical properties. Copper nickel pipes shall be visibly clean, smooth and free from harmful defects and from deleterious films in the bore. No defect shall penetrate the wall of the tube that will give a resulting thickness of less than the minimum stated in Tables 3 and 4. The casts and the copper nickel pipes shall comply with the properties of Table 5. The copper nickel pipes shall be seamless and in no case shall they be redrawn from used copper nickel pipes. The copper nickel pipes shall be supplied in straight lengths in the annealed condition. The mean outside diameter of finished copper nickel pipes in sizes up to and including 4 in/108 mm shall be within the outside diameter tolerances specified in Tables 3 and 4. The mean outside diameter is half the sum of any two diameters measured at right angles on the same cross section of the tube. 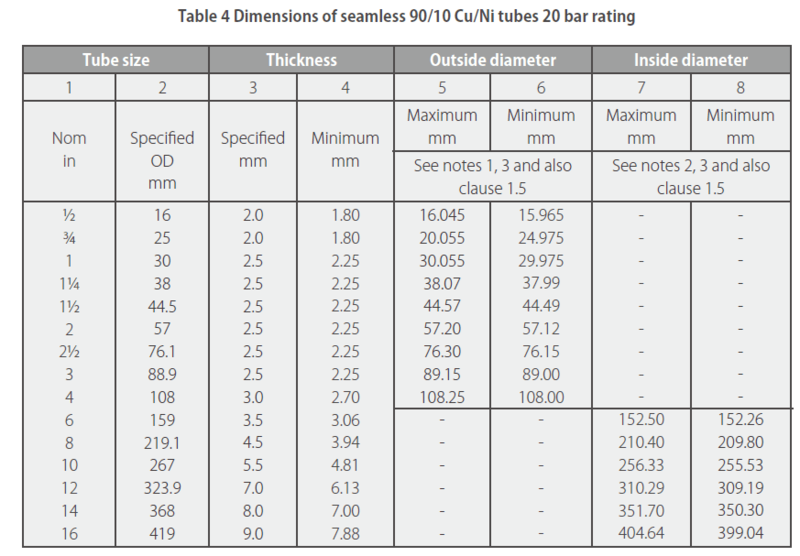 Tube sizes 6 in/159 mm up to and including 16 in/419 mm are also based on BS 2871-2, Table 3 for specified diameters but in this Chapter the tolerances have been applied to the inside diameters to facilitate alignment of matching weld preparations. The mean inside diameter of finished copper nickel pipes in sizes 6 in/159 mm and larger shall be within the inside diameter tolerances specified in Tables 3 and 4 for a distance of 100 mm from each end. The mean inside diameter is half the sum of any two inside diameters measured at right angles on the same cross section of the tube. The ovality of finished copper nickel pipes shall be such that the difference between the maximum and minimum diameters measured on the same cross section shall not exceed 2% of the size specified in column 2 in Tables 3 and 4. (a) When copper nickel pipes are required in random lengths, the minimum random lengths shall not be less than those specified below. Shorter random lengths may be supplied upon agreement between Purchaser and manufacturer. 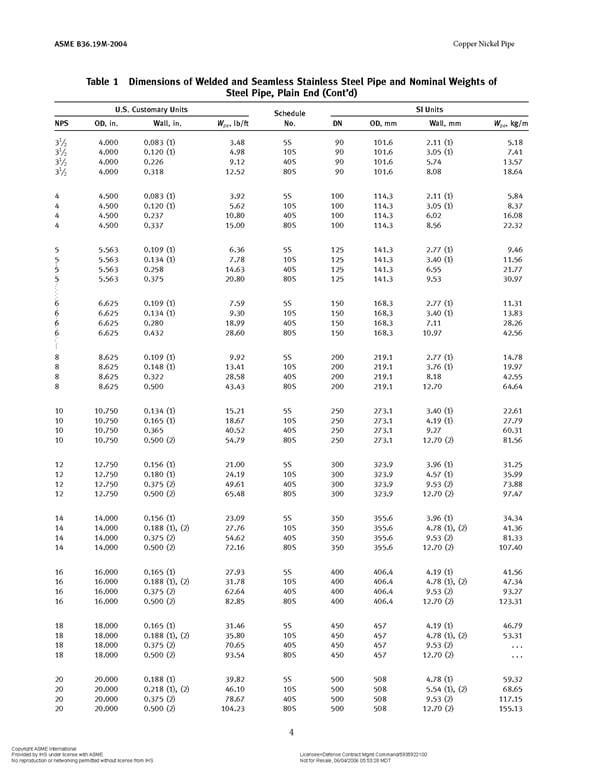 See Table 1. (b) When copper nickel pipes are required in specific lengths they shall not vary from that specified by more than the tolerances on length given below, when measured at a temperature of 20°C ± 5°C. The departure from squareness of the plain ends of any tube shall not exceed 1.6% of the specified diameter. 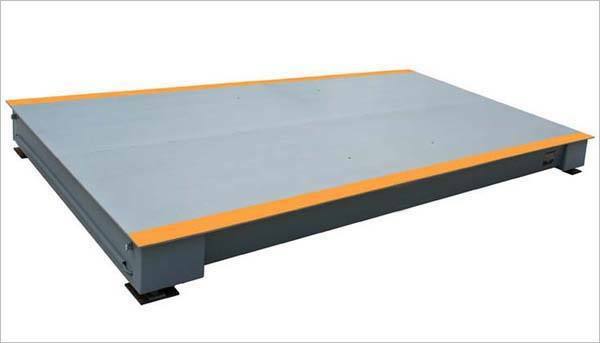 The departure from squareness for ends beveled for welding shall not exceed 2.0 mm. The maximum deviation from straight for tube sizes 4 in/108 mm and larger is the depth of arc measured from a straight edge 1 metre in length which shall not exceed 3.0 mm. Table 5 of this Publication. For the tests specified in Section 1.7 copper nickel pipes of anyone size and thickness shall be grouped in batches of 300 copper nickel pipes or 1300 kg whichever is the greater weight, and one tube shall be taken at random from each and any remaining part of a batch for testing. When the size of the order does not permit batching in the above quantities, one tube of each size and thickness shall be selected for testing. 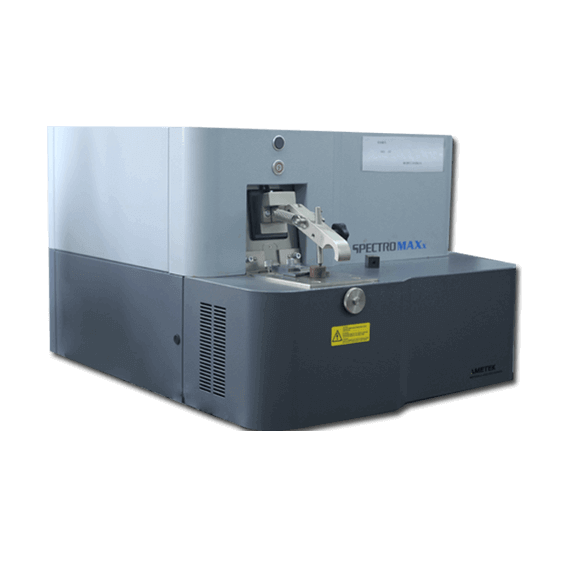 The sample selected from each batch, as defined above for test purposes, shall also be used for chemical analysis to confirm compliance with Table 5. 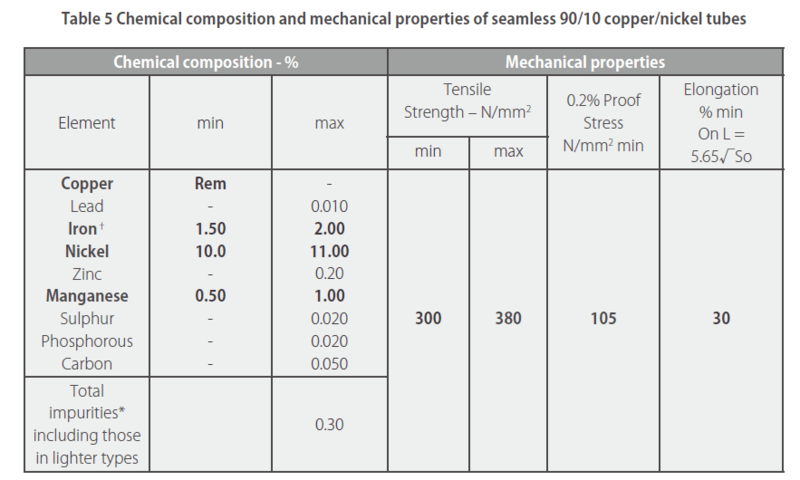 Tensile, 0.2% proof stress and elongation shall be determined on test samples of tube selected in accordance with Section 1.6 and tested in full section or on longitudinal strips cut from any part of the tube. The tests shall be performed in accordance with BS EN 6892-1:2009 and the values obtained shall comply with the requirements of Table 5 of this Publication. 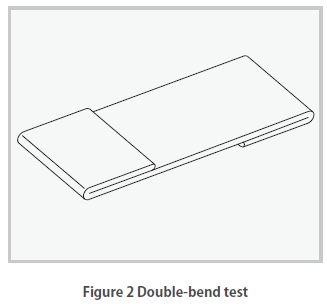 The following tests are only required when so specified by the Purchaser. Hardness tests shall be made on test pieces in accordance with BS EN ISO 6507-1:2005 and the values obtained shall not exceed 100 HV 5. This test applies to copper nickel pipes not exceeding 4 in/108 mm outside diameter. 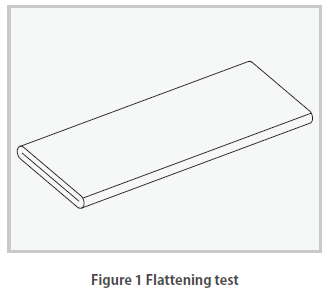 The test pieces shall be flattened until the internal surface meets as shown in Figure 1. When subjected to this test the tube shall show no crack or flaw. longitudinally from the tube. The longer edges shall be carefully rounded and smoothed so that a cross section has approximately semi-circular ends. doubled up close, as shown in Figure 2. When subjected to this test the tube shall show no crack or flaw. outside diameter of the expanded portion exceeds the original outside diameter by 30%. When subjected to this test the tube shall show no crack or flaw. 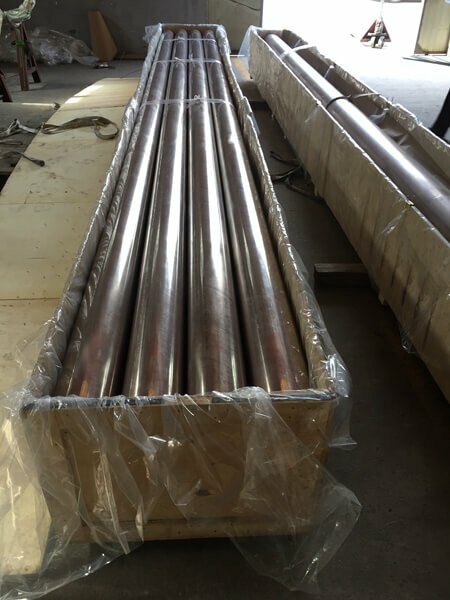 Each tube shall be hydraulically tested to an internal copper nickel pipe pressure rating of not less than 1.5 multiples of the design copper nickel pipe pressure rating in line with the ratings given in Tables 3 and 4. Thus the test copper nickel pipe pressure rating for 16 bar rated copper nickel pipes shall be 24 bar and the test copper nickel pipe pressure rating for 20 bar rated copper nickel pipes shall be 30 bar. In each case the copper nickel pipe pressure rating shall be stabilised and maintained for sufficient time to allow for inspection for leakage and/or signs of distress. In each case the test copper nickel pipe pressure rating shall be maintained for a minimum of 10 seconds for copper nickel pipes up to and including 4 in/l08 mm and a minimum of 20 seconds for copper nickel pipes over 4 in/l08 mm. of the equipment in accordance with BS EN 1971-1:2011(14), or ASTM E243(15) plus ASTM B466(16) paragraphs 11.2 and 14.2.3. 8.1: Copper Nickel Pipes sizes 1½ in/44.5 mm and above shall be individually marked. (a) Purchase order number (PO). (b) The number of this section (Publication 234:Chapter 1). (c) Material designation UNS 7060X. (d) Copper Nickel Size inches and millimetres. (e) Nominal copper nickel pipe pressure rating rating -16 or 20 bar. (f) Copper Nickel Pipe Manufacturer’s name or trademark (MTM). (g) Test certificate number (TCN). (h) Batch traceability number (BTN). (a) Material designation UNS 7060X. (b) Size in inches and millimetres. (e) Batch traceability number (BTN). on which the remaining information given in Section 1.10.1 is clearly and permanently marked. Note 1: Stamping with metallic stamps is not permitted. Note 2: Manufacturers shall ensure that any marking materials used shall not be detrimental to the tube material. 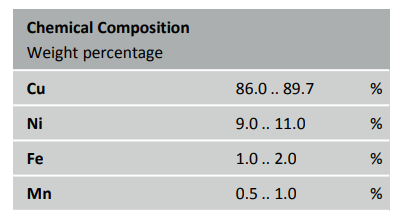 (a) State the actual compositional limits determined for each of the elements designated in Table 5 of the casts used in the manufacture of each batch. Note: Individual cast analyses shall be retained by the manufacturer – see Chapter 14: discretionary contractual clauses. 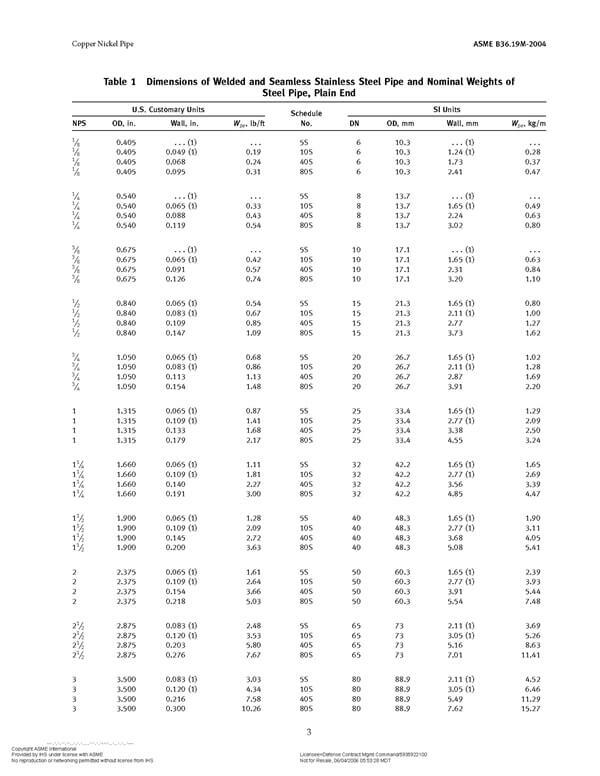 (c) State the results of the mechanical tests detailed in Section 1.7. (d) State the results of any non-mandatory or special tests specified in the purchase order. (e) State the results of the hydraulic test in accordance with Section 1.9. We have a wide range stock of copper nickel pipe as per ASME B36.19M Standard. ASME B36.19M Standard covers the standardization of dimensions of welded and seamless wrought copper nickel pipe for high or low temperatures and copper nickel pipe pressure ratings. The word copper nickel pipe is used, as distinguished from copper nickel tube, to apply to tubular products of dimensions commonly used for pipeline and piping systems. Copper nickel pipes NPS 12 (DN 300) and smaller have outside diameters numerically larger than their corresponding sizes. 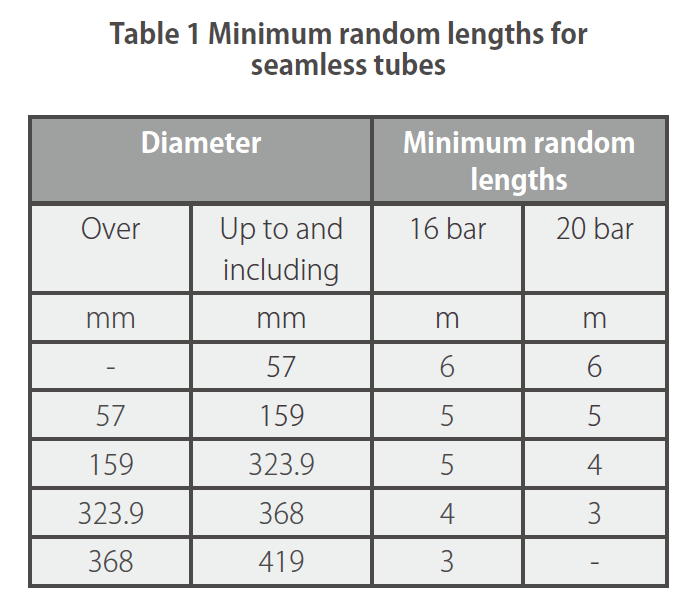 In contrast, the outside diameters of tubes are numerically identical to the size number for all sizes. The wall thicknesses for NPS 14 through 22, inclusive (DN 350–550, inclusive), of Copper nickel pipe schedule 10S; NPS 12 (DN 300) of Copper nickel pipe schedule 40S; and NPS 10 and 12 (DN 250 and 300) of Copper nickel pipe schedule 80S are not the same as those of ASME B36.10M. The suffix “S” in the copper nickel pipe schedule number is used to differentiate B36.19M copper nickel pipe from B36.10M copper nickel pipe. ASME B36.10M includes other copper nickel pipe thicknesses that are also commercially available with copper nickel material. The size of all copper nickel pipe in copper nickel pipe Table 1 is identified by the nominal copper nickel pipe schedule , copper nickel pipe wall thickness and copper nickel pipe dimensions , copper nickel pipe pressure rating. The manufacture of copper nickel pipe NPS 1⁄8 (DN 6) through NPS 12 (DN 300), inclusive, is based on a standardized outside diameter (OD). 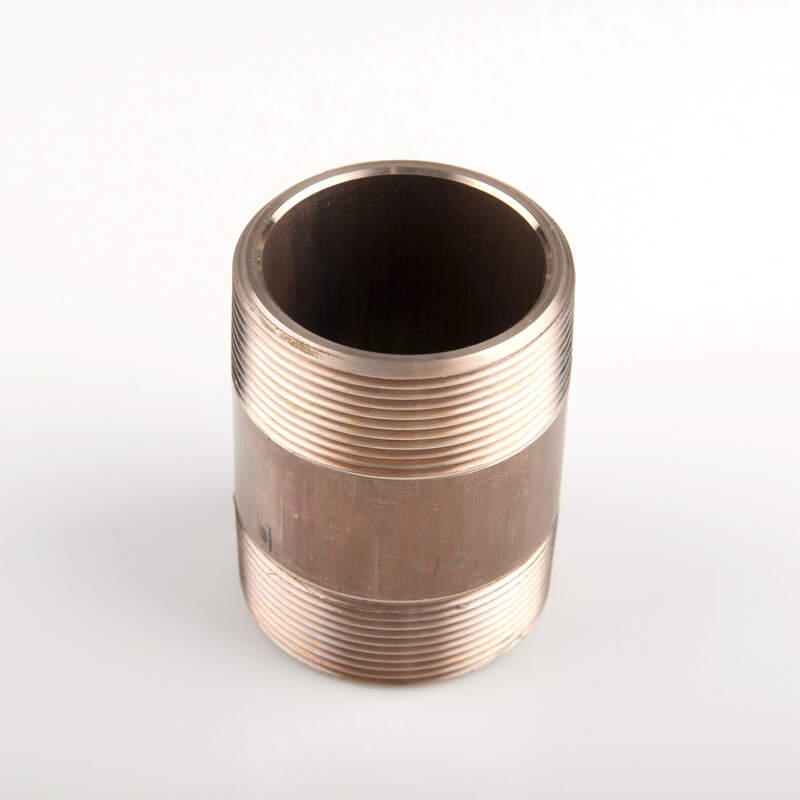 This OD was originally selected so that copper nickel pipe with a standard OD and having a wall thickness that was typical of the period would have an inside diameter (ID) approximately equal to the nominal size. The manufacture of copper nickel pipe NPS 14 (DN 350) and larger proceeds on the basis of an OD corresponding to the nominal size. 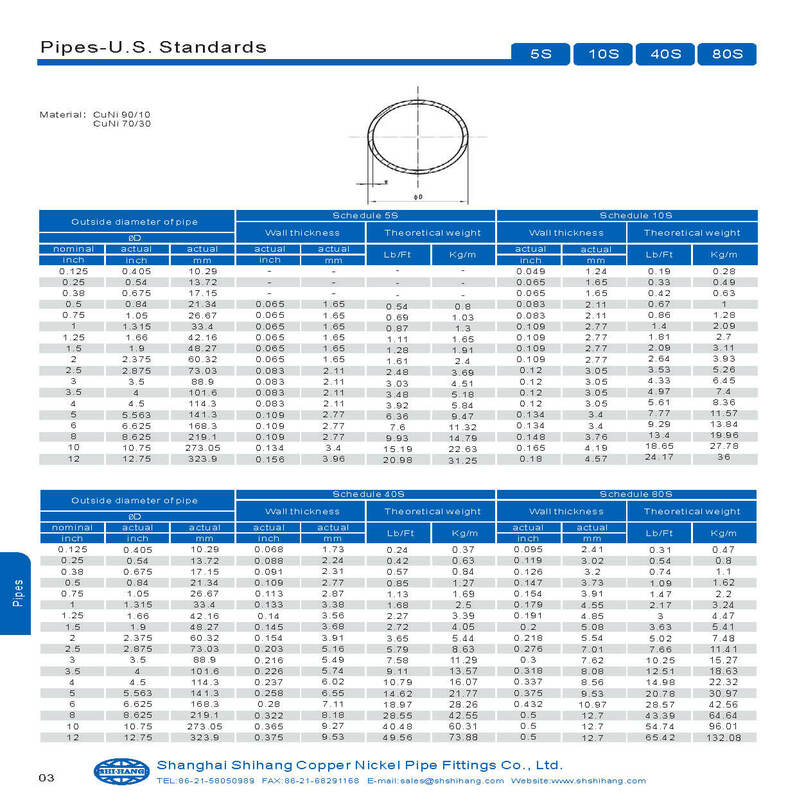 The dimensional standards for copper nickel pipe described here are for products covered in ASTM specifications. Copper Nickel Alloy Grade : ASTM B466 UNS C70600. Variations in dimensions differ depending upon the method of manufacture employed in making the copper nickel pipe to the various specifications available. Permissible variations for dimensions are indicated in each specification. When the selection of copper nickel pipe wall thickness depends primarily upon capacity to resist internal copper nickel pipe pressure rating under given conditions, the designer shall compute the exact value of copper nickel pipe wall thickness suitable for conditions for which the copper nickel pipe is required, as prescribed in detail in the ASME Boiler and Copper nickel pipe pressure rating Vessel Code, ASME B31 Code for Copper nickel pipe pressure rating Piping, or other similar code, whichever governs the construction. 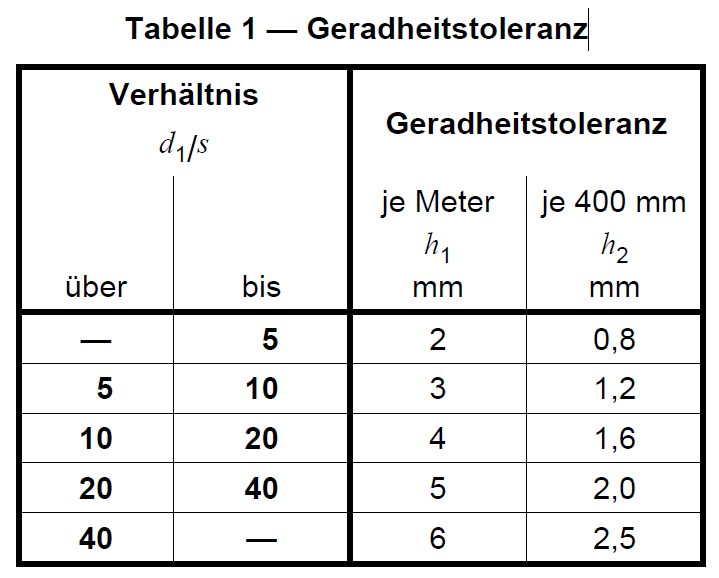 A thickness shall be selected from the copper nickel pipe schedule s of nominal thickness contained in Table 1 to suit the value computed to fulfill the conditions for which the copper nickel pipe is desired. What Is Copper Nickel Pipe? Copper nickel pipe is a straight, pressure-tight, cylindrical hollow that is made of copper and nickel alloy and used in different piping systems. Copper nickel pipe has been used in seawater piping and marine engineering as well as gas and oil market applications for years. Copper is a noble metal with an excellent corrosion resistance in fresh water and general atmosphere. Nickel is a common element in many metal alloys. It enhances resistance to both oxidation and corrosion. Additionally, it adds durability and strength when combined with other metals both in low and high temperatures. The most common copper nickel alloys are 90/10 and 70/30. Copper nickel 90/10 is the most common due to its high corrosion resistance, strength, and resistance to prevalent biofouling in salt water environments. However, copper nickel 70/30 is stronger than the most common copper nickel 90/10. It’s also capable of withstanding corrosion in higher velocities. CuNi 90/10 alloy is commonly used in most marine applications. What Is Copper Nickel Pipe Working Principle? Copper nickel pipes work with copper nickel pipe fittings and copper nickel flanges to form a strong copper nickel pipe system. You can easily get items like flanges, copper nickel elbows, copper nickel tees, copper nickel reducers, forged and machined fittings. Then welding copper nickel pipe with all others fittings and flanges to be a copper nickel pipe system. Essentially, it’s possible to have standard products and items that are made to suit your specific piping design. These items are available in both 70 30 copper nickel pipe and 90 10 copper nickel grades. You can get more info about copper nickel pipeline system at our blog page. The standard of every copper nickel pipe depends on the application for which it is made. For instance, standard seamless copper nickel pipe that comes with a straight length is ideal for general engineering applications. Each copper nickel pipe is made from billets by piercing or hot extrusion then subjected to cold annealing and working. What is Copper Nickel Pipe Chemical Component ? Copper nickel pipe has properties that make it useful in different applications. Copper nickel pipe is made of copper and nickel just like the name suggests. However, the copper nickel alloy that is used to make this pipe has other strengthening elements. These include manganese and iron. 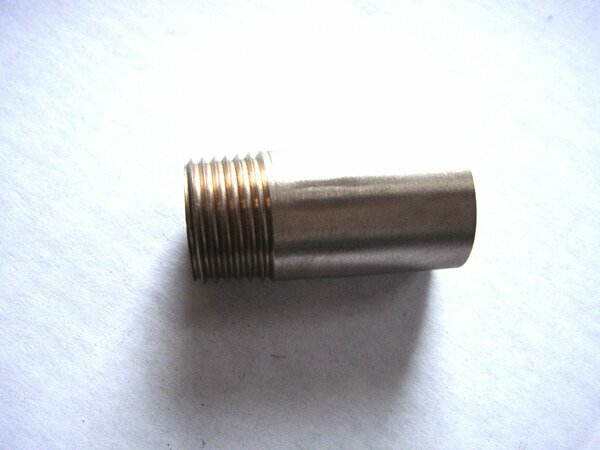 Nevertheless, copper amount is usually higher though the alloy has a silver color. The chemical composition of copper nickel pipe gives it both chemical and physical properties. What is Copper Nickel Pipe Physical Properties? Corrosion resistance- This pipe does not get tarnished. That’s because a complex surface film forms on this pipe through the interaction of the alloy with seawater. This protects the pipe from corrosion thereby enhancing its durability. Biofouling- Copper nickel pipe is resistant to biofouling. That means it lowers macro-fouling levels when used in marine applications. This property is attributed to the formation of a complex protective film on the surface of the copper nickel pipe. Excellent ductility and tensile strength- Hardness and high tensile strength are achieved by making the pipe from cold worked copper nickel alloy. Nevertheless, nickel addition to copper generally improves durability and strength of an alloy. Aesthetically pleasing colors- The color of this pipe becomes lighter with nickel addition. A pipe that is made of low-nickel alloy has a yellow-pink hue. Pipes whose making alloy has more than 15% nickel look silvery-white. When inside the seawater, the pipe can turn into different colors including green, dark brown, and golden brown. Anti-microbial- Copper nickel pipe is inherently anti-microbial. When the surface of this pipe is cleaned regularly, it kills bacteria that may cause infections continuously. Environmental friendly- Once a copper-nickel pipe has formed a complex protective film on the surface, the amount of the copper that is released into the environment or water is greatly reduced. Additionally, the pipe releases copper ions close to the formed protective film. These ions inhibit slime layer’s growth making the surface of the pipes uninviting to marine macro-organisms. 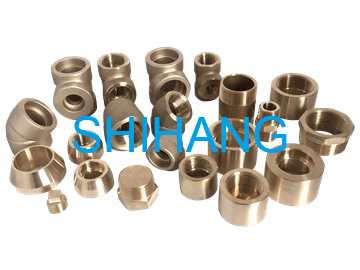 Shihang is the world leading Manufacturer, Supplier and Exporter of Copper Nickel Cu-Ni 90/10 (C70600) Pipe, Flange & Pipe Fittings. We stock a wide range of piping equipment in 90/10 Copper Nickel. Our stock covers Pipe, Fittings and Flanges to both DIN, EEMUA and ANSI dimensional standards. Copper Nickel pipe, flanges & pipe fittingse fittings & flanges are packed in seaworthy wooden case. 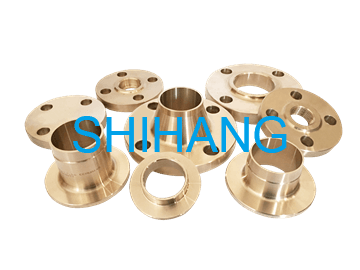 We , Shihang is a copper nickel pipe suppliers as well as copper nickel pipe fittings manufacturer, copper nickel flanges supplier.